"It's just very satisfying when you know that you've in some little way made their visit to the zoo more enjoyable than it would have been otherwise," Janet said. Janet is talking about students like a recent group from Meeting Street. "She's telling us all about the snow leopards," said one girl. "She also tells us facts that we never know about the animals." After training at the zoo in the docent program, she found the volunteer position to be a perfect fit. "We’re super proud of Janet. We couldn't be happier. She's a model docent. She’s got great instincts for guest service. She’s a fantastic educator, and she's fun to engage with. We would like 10 more Janets, please," said interpretive specialist Leigh Picard. In recognition of Janet's hard work, NBC 10 is paying it forward to her with a gift of $500. "I think it will go straight back into the zoo. I get the satisfaction of working here, and that’s all I need," Janet said. 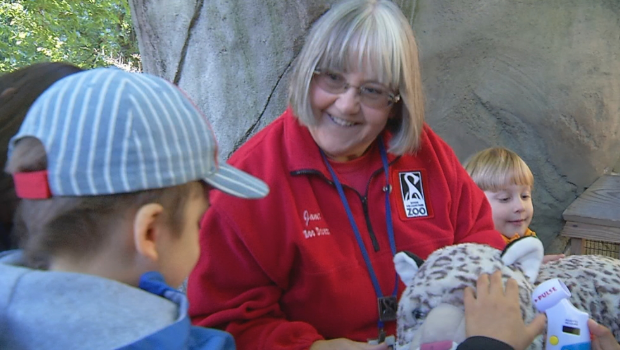 Janet Keene has been volunteering her time at the Roger Williams Park Zoo for 10 years, and she loves it.